When you sit working and Skyping in a chair for as long as I typically do, you need a great chair, and the Herman Miller Aeron chair is simply the best chair I ever sat in. Not only is the Aeron the right choice for my desk [and nearly every desk in the Advantage Co], it is also the choice for my kitchen tables in both Williamsville and Naples. It certainly makes a difference in Naples, where Joe often spends 4-6 hours a day holding court at his favorite spot at the head of the table. If you don’t have an Aeron for your desk, you’re sitting in the wrong chair. It’s worth the investment – and your back will thank you every night. Try it out, and I am certain it will become one of your favorite things too. The Aeron chair is an office chair designed in 1994 by Don Chadwick and Bill Stumpf and is featured in the Museum of Modern Art’s permanent collection. The chair was reportedly named after the Celtic god Aeron, as well as referring to aeration and aeronautics. Own the problem, and define it as deeply as you can. Bill Stumpf echoed this mantra on every project he took on for Herman Miller, but perhaps never more completely than with the groundbreaking Aeron Chair. Working with Don Chadwick, Stumpf began thinking about what a chair ought to do for you by consulting people who spend a lot of time in chairs—older people in retirement centers. 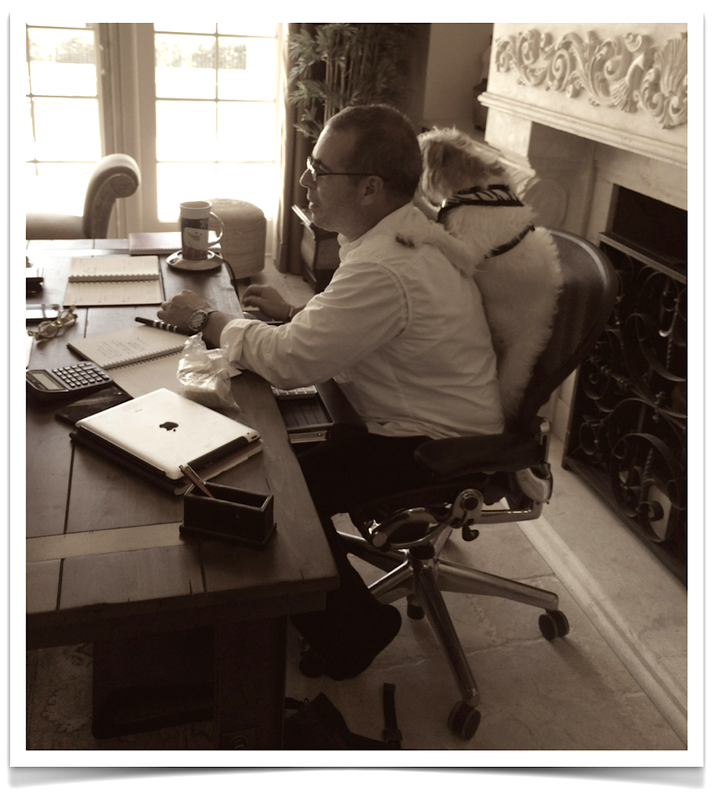 When Stumpf and Chadwick took what they learned and applied it to work seating, they started a revolution in ergonomics. We wanted a totally new kind of chair. So we turned to the two designers who had produced the groundbreaking Equa chair and asked them to start with a clean slate and no assumptions. A bold challenge! “It was a matter of deliberate design to create a ‘new signature shape’ for the Aeron chair,” says designer Bill Stumpf. 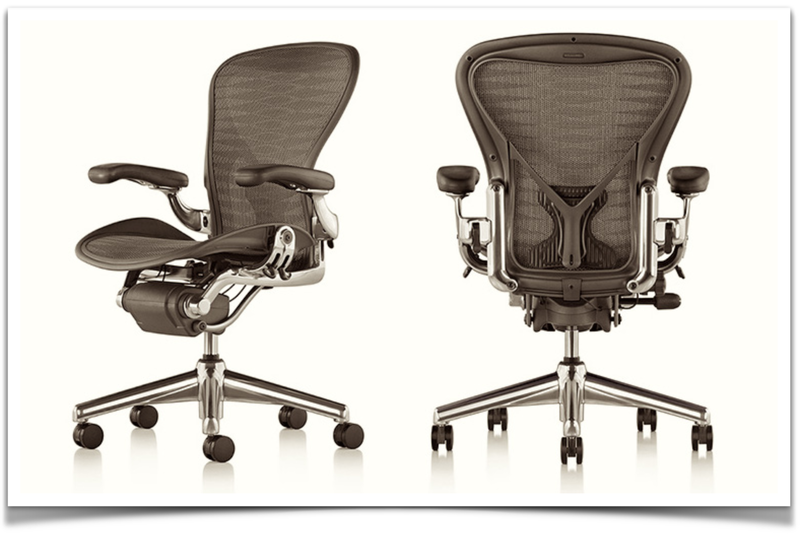 “Competitive ergonomic chairs became look-alikes.” Differentiation was a huge part of the Aeron design strategy, and it remains one of, if not the most, critical aspects of Aeron’s success.